Suzuki has launched the best-selling scooter in the 125cc segment with new safety features Combi-Brake System (CBS). The new Suzuki Access 125 CBS is priced at Rs. 56,667, ex-showroom. With the new safety feature in place, the scooter is just Rs. 690 more expensive than the regular, non-CBS version. Suzuki earlier launched the CBS version of the Access 125 with the front disc brake. That version is priced at Rs. 59,636. According to the new rule which will be implemented on 1st April 2019, all the two-wheelers with 125cc or more engine capacity will have to offer mandatory ABS braking system while all the two-wheelers powered by less than 125cc engine will have to provide Combi-Braking System as standard. The CBS workings by engaging both the brakes when the rear brake lever is pulled. This causes safer braking and allows the bike to stop at a lesser distance. The system does not work when only the front brake lever is pulled. Most Combi-Braking System applies around 60% pressure on the front brake and rest of the force in the rear wheel. It will also help new riders to understand how to use the brakes properly on a two-wheeler to bring it to stop quickly. The Suzuki Access 125 is a very popular scooter in the Indian market. Last year, the Access 125 sold as many as 40,000 units per month on an average. Apart from the new feature addition, there are no other changes in the scooter. It looks similar to the non-CBS version of the Access. The scooter features alloy wheels, a hybrid digital-analogue console that displays various information. It also gets a wide and comfortable seat and a push central locking system that can be used to open the seat and the fuel lid. The Suzuki Access 125 is powered by the same engine, which is also available with the Suzuki Burgman. The 125cc air-cooled engine produces a maximum power of 8.4 Bhp and a peak torque of 10.2 Nm. It gets a fuel tank capacity of 5.6-litres. Suzuki officially claims that the Access 125 returns a maximum fuel efficiency of 63 km/l, which makes it deliver over 350 km on a full tank. The Suzuki Access 125 is also quite peppy and weighs only 101 kg. The free-revving engine makes the scooter a fun-to-ride two-wheeler. The Suzuki Access takes on the likes of Honda Activa 125, TVS NTorq and Piaggio Vespa in the Indian market. 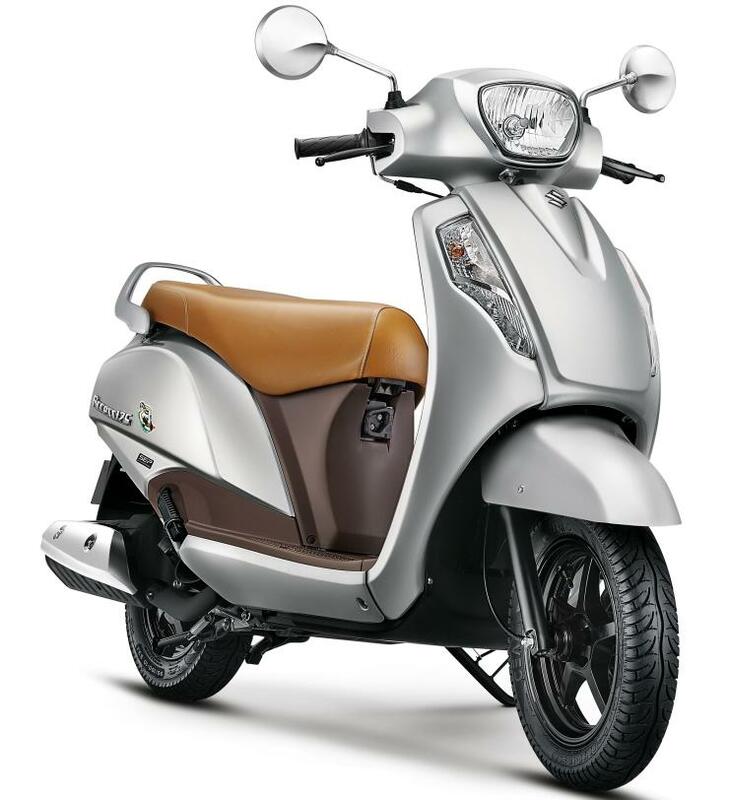 The Access 125 was one of the first scooters in the segment and has been around for a long time in the Indian market. A lot of manufacturers have started rolling out their new products before the safety rule is implemented on 1st April 2019. The new rules also make features like a driver-side airbag, ABS+EBD, rear parking sensors, driver and co-driver seatbelt reminder and speeding alert in the cars. From October 2019, all the cars selling in India will have to meet the minimum crash test requirement for the first time in history.